Gardman 4 Tier Compact Growhouse from the Grow It range with heavy duty reinforced cover and space saving design is ideal for plant protection and improved growth all year round. 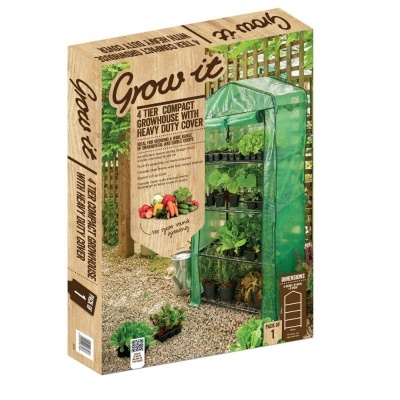 Home assembled in minutes and suitable for giving seeds, seedlings & young plants an early start. 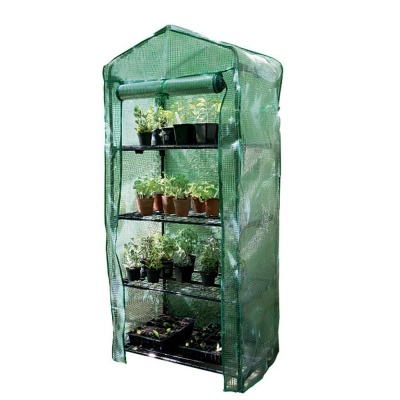 Powder coated rigid metal tubular frame and reinforced PE cover with zipped roll up door. Excellent in both service, price and correspondence. Ordered one day and received the next.